Construction & Surveying. Agriculture. Movie. Inspection. Research. Search & Rescue. Industrial Automation. 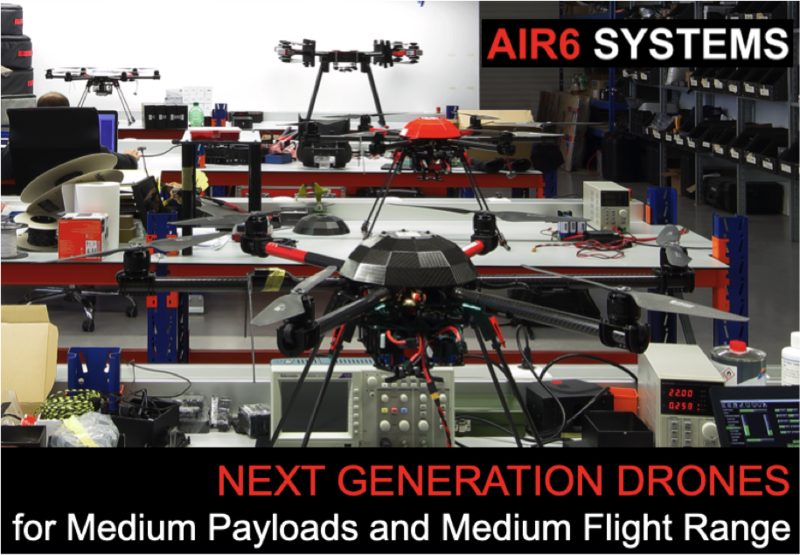 Why AIR6 SYSTEMS | AIRBORNE ROBOTICS? Unrelenting perfection. For professional drone missions. REDUNDANCY: Enhanced fail-safety through at least two electronic circuits (separate flight controllers), at least 6 rotors / motors, at least two or four batteries. 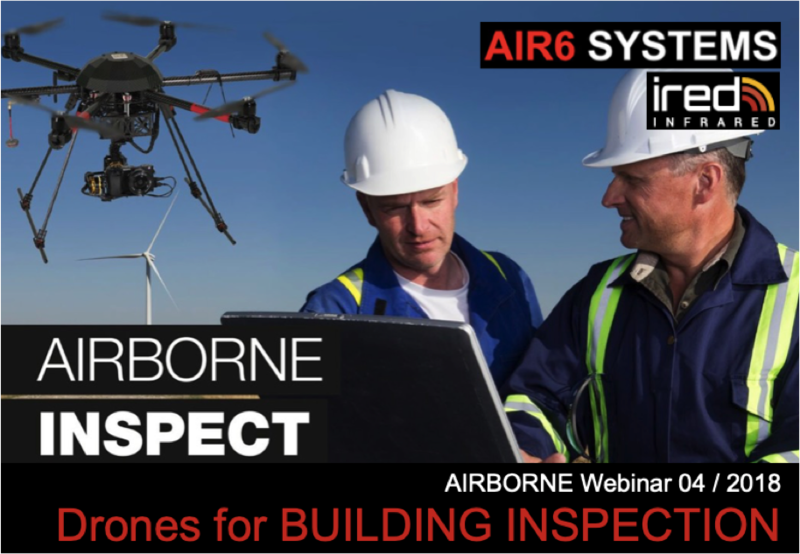 This is essential for redundancy requirements in different jurisdictions for missions in built-up areas and / or to comply with the required Operating Safety Case (OSC). PERFORMANCE: Unique combination of payload capacity, flight time, power reserve and stability. OPEN PLATFORM: Ability to mount any sensor or payload. Our customers can choose the best available equipment on the market at any time. CUSTOMIZATIONS: Our systems can be tailored to specific needs or missions. We offer direct access to our development team. We serve as extended work-bench for industrial partners who share our vision and passion. 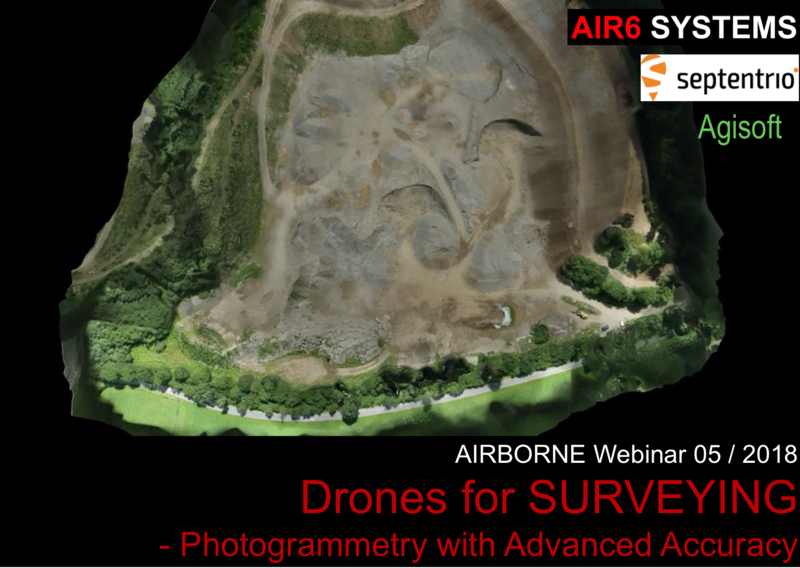 We take pride in measuring ourselves with other high-end manufacturers of UAVs for professional use with our unique combination of enhanced flight time and payload capacity. 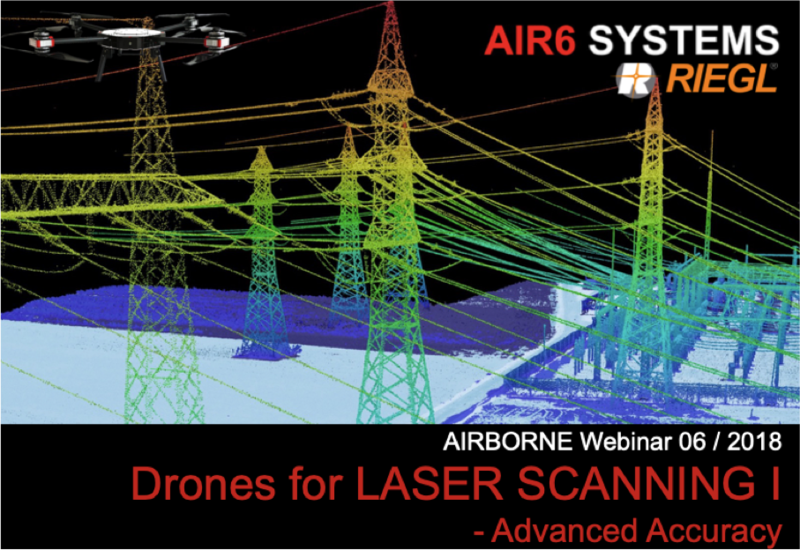 This enables our customers to use heavy sensors, like a UAV Laser Scanner / LiDAR or professional film cameras, and multiple sensors at one flight thereby maintaining meaningful flight times. 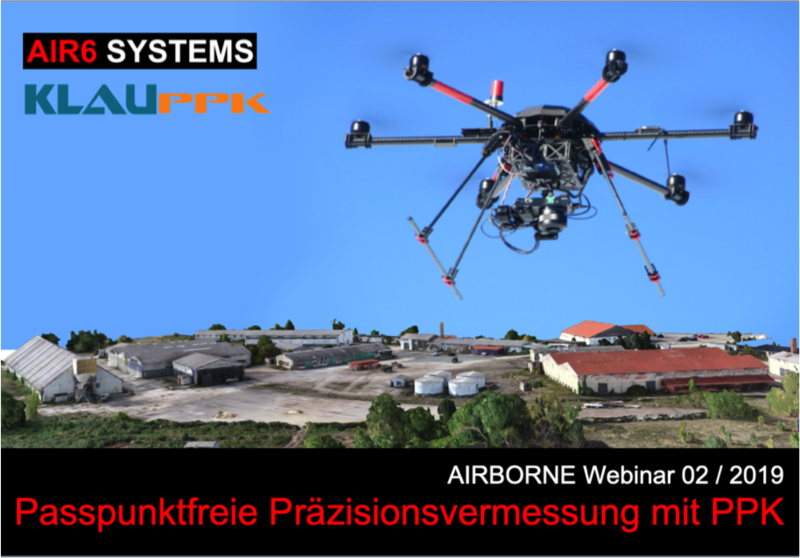 We provide end-to-end TURNKEY SOLUTIONS and are one of only a few manufacturers who equip their drones with real redundancy. Tested under extraordinary conditions. Experience the difference. Our UAVs are designed to support the pilot in conducting his manual and automated missions. Extraordinary conditions are anticipated and our systems have been tested and enhanced in such conditions. With our roots in cinematography flight stability and smooth remote control operation is key. As an Austrian manufacturer we place high importance on harsh winter and weather conditions. Power reserves of 65%+ make missions in wind speeds of 50 km/h+ and up to 4,000m ASL possible. 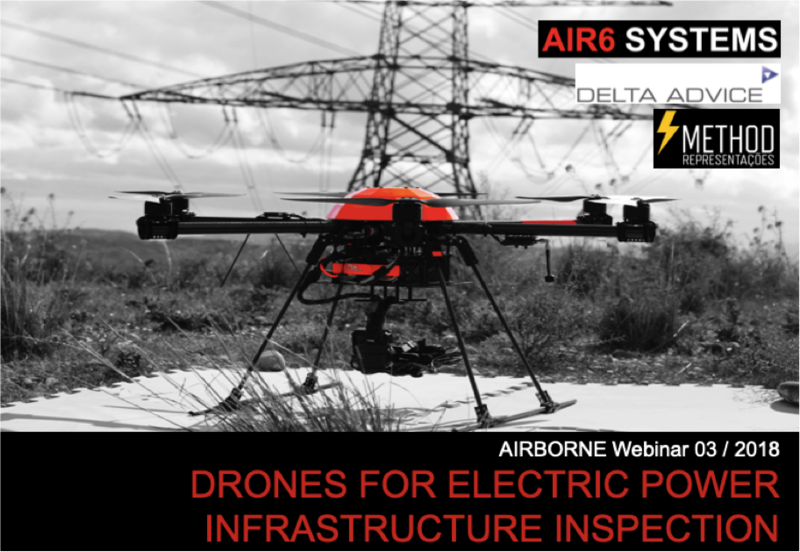 Professional inspection processes of high voltage power assets have been tested rigorously. 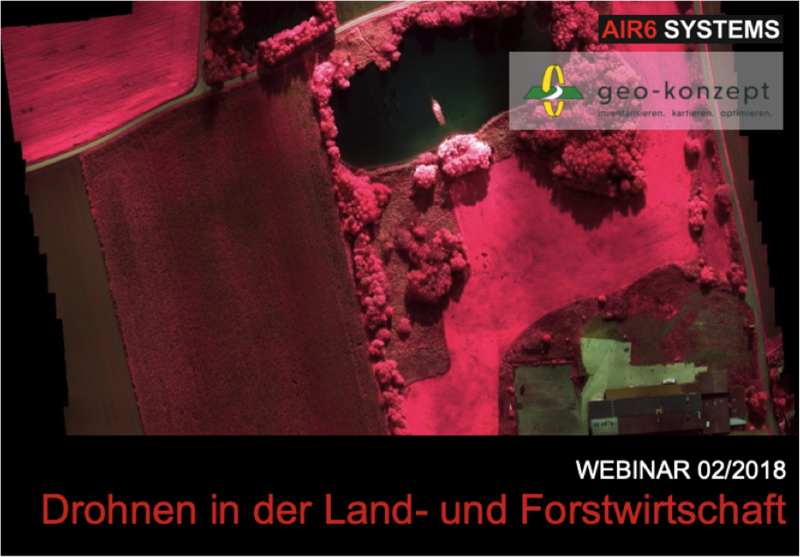 Precision work - with or without RTK which we provide optionally - is our promise. Education is key. Join our AIRBORNE community.